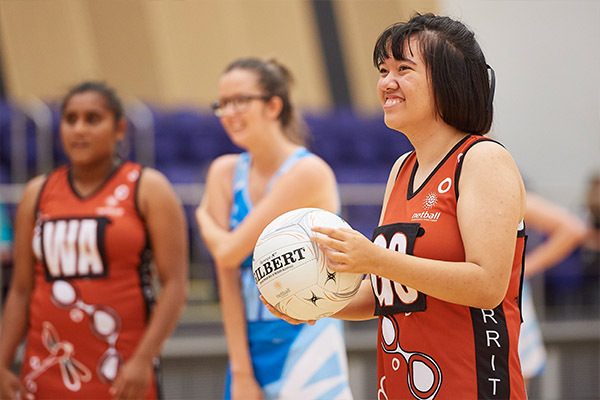 The Marie Little Shield OAM (MLS), the national netball championship for women with an intellectual disability, proudly sponsored by Netball Australia’s Community and Social Inclusion Partner Australia Post, will take place from 5-7 October at the Brisbane Entertainment Centre. The MLS finals will be showcased on the final day of the competition ahead of the Constellation Cup game between the Samsung Diamonds and New Zealand Silver Ferns on 7 October. Introduced in 2013, the Shield recognises Little’s dedication to improving the lives of people with an intellectual disability through the power of netball. The competition provides women with an intellectual disability the chance to compete and represent their state at a national level. The event is an important feature on the annual Australia Post One Netball calendar, alongside other national diversity and inclusion programs. Australia Post is the Community and Social Inclusion Partner of Netball Australia, and together we have partnered to deliver the Australia Post One Netball Program (One Netball) since 2014. The program aims to engage Australia’s increasingly diverse communities with the sport of netball and the message that everyone, regardless of background or ability, is welcome. Netball Australia is committed to providing players with disabilities with opportunities to play netball. For competitions and specific programs for players with disabilities in your area, get in touch with your State/Territory netball inclusion contact. LAST ARTICLERobinvale creating an inclusive environment for allNEXT ARTICLECall for Nominations - 2018 Community Awards now open!